There have been a number of terrible tragedies in the US. The latest one happened in our backyard, South Albuquerque. My heart mourns, it aches. I mourn with my brothers and sisters at Calvary Abq who lost a pastor and a great family. I can’t understand why these things happen. I don’t understand evil. I do know I’m part of the problem and every member of humanity is infected. It is hard to admit ignorance about a subject that is such a part of me. It is true though, I know very little about this evil inside all of us. But, this isn’t a post about evil. I have covered that before briefly in another post. This is about reaction and response. The last two months have been filled with lots of both. Passionate, extreme, ever-present, and polarizing are terms I would use to describe what I’ve seen. Here are a few observations and a couple of conclusions I’ve reached about the reaction and response I’ve witnessed. I’ll start with some general thoughts and move on to the Christian side of things. Response and Reaction are appropriate. This may seem like a “no-brainer” but there are too many people telling others not to, or how to react or respond to these tragedies. Tragedies should cause us to examine how things are working, or aren’t working. Outrage, passion, and free speech have accomplished a lot of good in the world. We need crusaders. Crusaders get things done. They push the limits. They challenge our perceptions, prejudices, and blind spots. I’m okay with polarizing rhetoric in the public square. I think it is a significant way we process the tragedies personally. Changes are necessary. No one wants to live in fear. Parents want their kids to be safe. Things aren’t working as we would like them to. This is a great time to change. When the death of so many innocent people is fresh in our memories we are more motivated to change. Let’s make some meaningful change. It is foolish, meaning ignorant and stupid, not silly, to assume there is a simple solution to a complex problem. While it’s completely reasonable to react and respond with simple or even simplistic solutions, realize the issue is not that simple. Stopping gun crime is not like giving a simple, cheap vaccination to the population. Instead, it is like AIDS, poverty, and hunger, very complex. “Ban guns,” “More guns is the answer,” “Destroy your handgun,” “Armed guards everywhere,” “Ban military-style guns” are similar statements as “Give them more food,” “Pay people more,” “Create more jobs.” It’s a nice sentiment and I don’t want people to stop making those kinds of statements. In youth ministry I wanted teens to say things like that. I wanted them to see the problem. I wanted them to be outraged. If no one sees the injustice and recognizes it as such it will never change. I want passionate people passionately fighting to stop injustice. These simple statements cannot be the final words though. It should spur them on to educate themselves on the issues and take educated action. Make your rant, get educated, and help people. Arguing your simplistic solution does no one any good. There is a LOT of misinformation out there, especially when it comes to gun violence. It is a myth that the U.S. has the highest rate of gun violence of any industrialized country in the world. That was started by the Russians in the 60’s and still remains active today along a number of other bogus gun stats. If you want to read scholarly article in the Harvard Journal of Law & Public Policy (not the NRA supporting, right-wing institution one would assume would publish an article like this) shows that “More guns equals more violence & Less guns equal less violence” simply is not true. The statement “Guns don’t kill people, people kill people” is true but in a different way than the simplistic mantra implies. Cultural factors, social norms, economic factors, and other variables dictate violent crimes, not the devices used to perpetrate those crimes. That article references a gun-less Russia with a 4 times higher gun-related murder and suicide rate than the U.S. On the other hand, the research doesn’t show that more guns means less death. Please let your passion turn into real change that makes a difference. Help people. Don’t just continue to support your simplistic rhetoric. That does no one any good. We need lawmakers to use their brains, not their emotions whilst making decisions. Remember how awesome the Patriot Act was/is? When it was passed it was an emotional decision. These changes the President are proposing are nice. But let’s get real, will more paperwork really stop gun violence. Normal people will follow the rules, fill out more paperwork, and wait a little longer to get their gun. Criminals won’t. Guess who commits most of the crime? That’s right, criminals. Instead of more paperwork for law-abiding folks how about our lawmakers sitting down with people who know stuff like this and figuring out a change that would make a real difference. Some of the other proposals could do some good but only time will tell. I don’t want to see these tragedies lead to bad decisions and the elimination of constitutional rights for law-abiding citizens. That’s extreme, I know, but it’s not out of the realm of possibility. Mental health is important. The U.S. has a health problem. Obesity is a problem along with mental health. Both of these as pandemics is a relatively new occurrence. Taking away the rights of mentally unhealthy people is not the answer. This is another big, complex problem that needs attention. Civility needs to be part of these conversations. Regardless of your stance, politics, religious beliefs, or whatever… be civil. Communicate your position… be civil. Feel free to disagree… be civil. Be civil, end of story. Now, here are some thoughts on the Christian response to the events. Mourning and hate speech don’t go together. We are called to love. 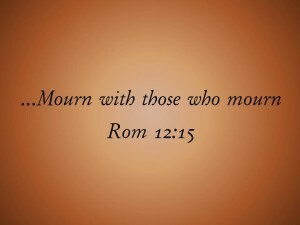 (John 13:34-35) It is easy to let your mourning turn into anger, but don’t do that. 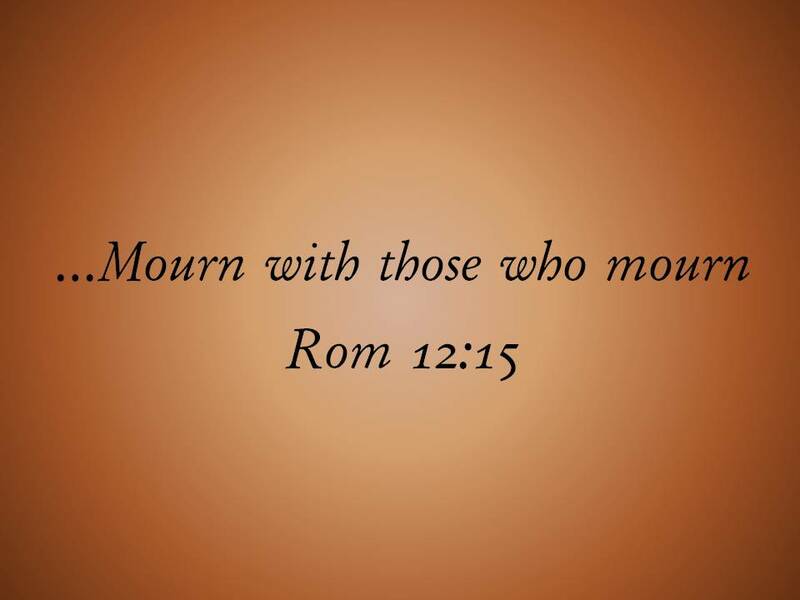 Mourn and love. When you debate, please show love. When you disagree please do so in a loving manner. Partial pacifism is not an option. I’m not a pacifist but I recognize their arguments and see the validity in them. What I don’t like is fence riding. I see Christians talk about defending their family but want to ban guns, or even just certain types of guns. Several years ago Ben Witherington wrote a post about gun control and Christian pacifism. While I disagree with his public policy outlook his points on the New Testament are well laid out. He says that Christ modeled pacifism and vengeance is afforded only to the Lord, not to us. If you are going to defend your family with any violence, with a weapon or not, is not in line with pacifism. Witherington states, “It is forgiveness and self-sacrificial love, even to the point of dying, not killing, which stops the cycle of violence and upholds what God has in mind for all his children.” If I plan to protect my family I’m committing violence in my heart and that is equal to murder if the Bible is right. If I actually defend my family I have to live with the fact that as a believer I took the life of one of God’s children, the very opposite of demonstrating love… I don’t get to have it both ways. It doesn’t make it better if I defend with a knife or my knuckles. Pray about it, pick one and go with it. If you go a little way you have to go the whole way… that means not having anything in your possession for the explicit use of violence even if it means defending your family. I hope this has been somewhat readable. Let me know what you think. A meta-discussion using “whilst” … you are almost ready for politics, Gies! 😀 Very helpful post … our discussions need boundaries and our populace needs to spend less time watching the news, and more time becoming educated. Watching the news is NOT EQUAL to becoming educated. Love one another! I agree fully with pretty much everything you’ve said. I personally feel that “love one another” and “be civil”, are things that American Christians are sorely lacking these days. Not that the other side isn’t, but they aren’t Christians. Great piece. Meares is the primary shareholder and you are a minority holder while I’m just a past owner of a share that’s split a few times. Thanks for the encouragement. And thanks for being civil and loving. A rare quality these days. I resent that remark! I have never written anything resembling thoughtful. Or well written. But, at least I punctuate, poorly? I do want to be your congressman! Thanks man. It’s easier go just write goofy stuff, but sometimes a guy has to step out. I, also, a, a fan of “whilst”.